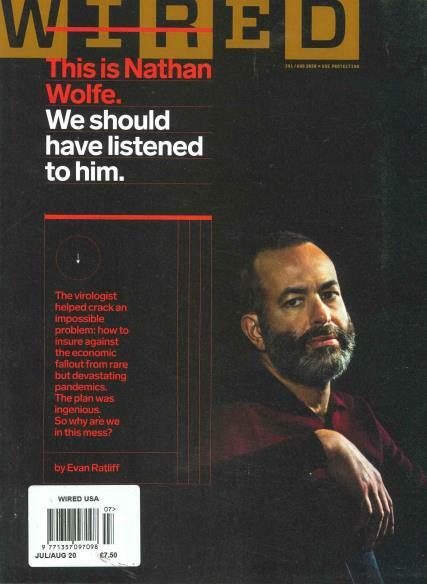 The original Wired Magazine from the USA is imported into the UK from America so you can purchase anything from a 3 month to 1 year subscription, or a single copy, and have it delivered conveniently to your door. For geeks the world over, Wired is the ultimate magazine for the technological world of today. Wired magazine stays one step ahead, and brings you all the information you need about the latest gadget, or advancement in the digital world. All of the articles are incredbly well researched, giving an authority to the content which is second to none. It's an interesting question, why does the worlds foremost authorty on technology and digital journalism publish it's content in an offline printed format? Well, doesn't that just show you the power and convenience of magazines? The printed form does indeed have a bright future.